College students, take note: There are at least six fields of study whose graduates are virtually 100 percent employed right now. That's right--certain majors, such as pharmacology, produce graduates who face a zero percent unemployment rate. 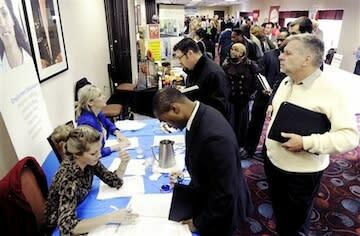 That's not bad considering last month's joblessness rate for people with a college degree or higher was 4.4 percent. The Wall Street Journal created an interactive tool where users can search for the average employment rate and median income of people who studied each major. The data comes from the Georgetown Center on Education and the Workforce, which released a similar ranking of majors in May that we wrote about here. But narrowing the results down to only the employment rate yields a wider range of fields that provide excellent job security. People who majored in some lower paying fields, such as school counseling, face an almost nonexistent chance of being unempl0yed. Check out the rest of the most employable majors, below.